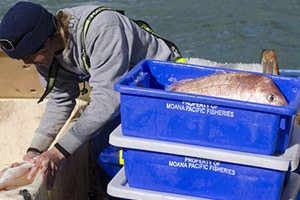 The first-ever collaborative long-term plan for the future management of New Zealand’s most valuable snapper fisheries has been approved by Primary Industries Minister Nathan Guy. The Snapper 1 Management Plan sets out recommendations for one of New Zealand’s most iconic inshore fisheries. The document is the result of more than two years’ work by the SNA1 Strategy Group, which comprises members from the customary, recreational and commercial fishing sectors in the Bay of Plenty, the Hauraki Gulf and the eastern coast of Northland. A draft plan was released in September this year and went out for public discussion, including public meetings and hui. The final report has a strong focus on improving fishing practices, minimising waste and gathering accurate information. Close monitoring including analysis of catch levels by all sectors. The group was chaired by Sir with three members each from the commercial, recreational and customary sectors. Officials from MPI and NIWA scientists also supported the group. The report has been designed to be a living document that evolves with stakeholder input and feedback. An advisory group with representatives from all sectors will continue the group’s work.